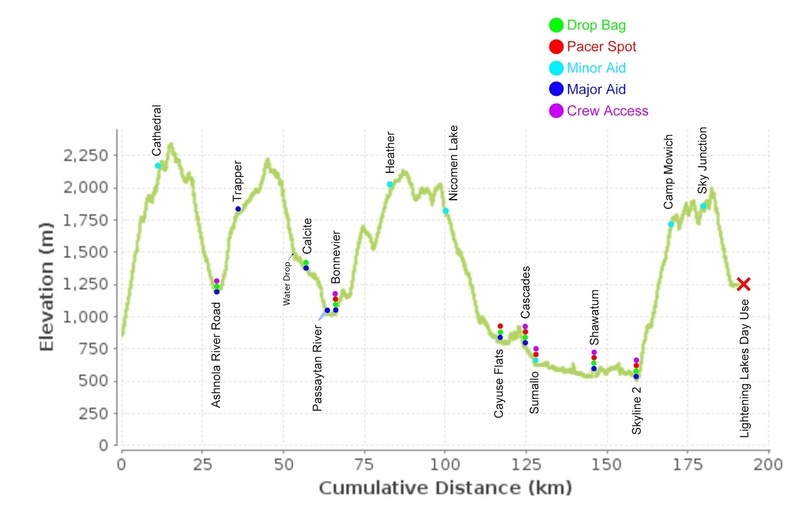 I just wanted to post an updated version of the Fat Dog race profile that I had made a few years ago (posted here with the GPX course files). 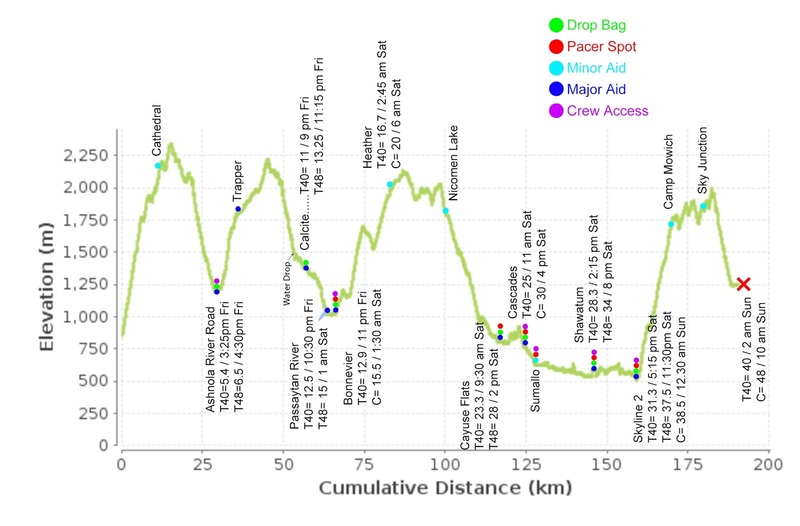 The new version has crew access points added and some changes to various aid stations. Notably, Heather Aid Station is now 2km from the Bonnevier/Heather Junction on Bonnevier Trail. This is 2km closer than the original location at the junction, and several km closer than the location in recent years at Buckhorn Camp. FatDog120 profile with aid stations (major/minor) and crew/pacer access points, without all the pace or cutoff times.